Booktalk: In a not-so-distant future our world is as cold as a frozen burrito. 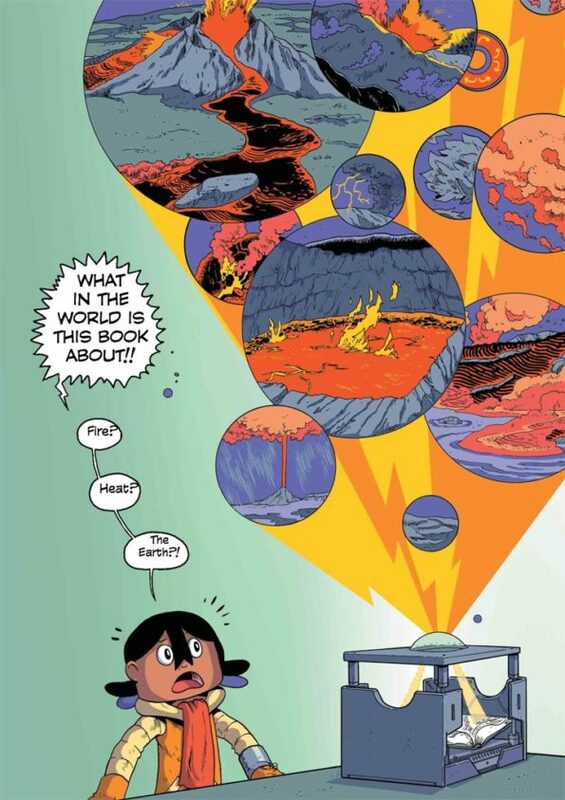 But can humanity save itself by harnessing a power that dwells inside the Earth? 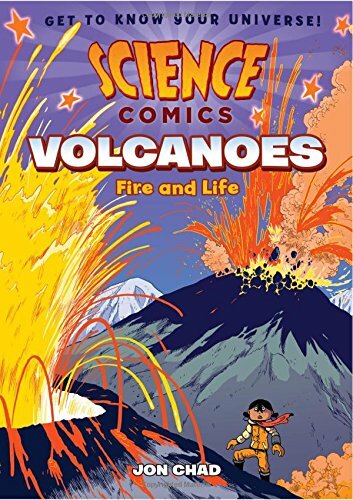 Melissa Stewart is an award-winning children’s book author who specializes in nonfiction and particularly science. Today we’re highlighting her book, Bird-acious. 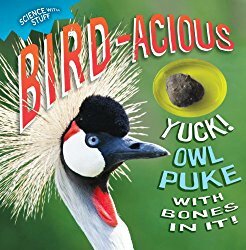 This book deserves a second look because it is a fun and educational introduction to birds for young readers. It contains big color photographs and interesting facts. It covers everything from feathers and flying to beaks and eating. There’s even a two-page spread that features photographs of cool bird tongues and describes what the various structures are used for. But Bird-acious offers even more. In the cover image above, do you see the brown mass in the yellow oval to the right, just under the title? That is an actual owl pellet for kids to dissect. A bird book with its own hands-on activity included, how cool is that? Want to find out what an owl pellet is? Check out the complete review at Growing with Science blog. Copyright © 2016 Roberta Gibson at Growing with Science All Rights Reserved. Categories: Science, STEM Friday round-up | Tags: Bird-acious, Melissa Stewart | Permalink. 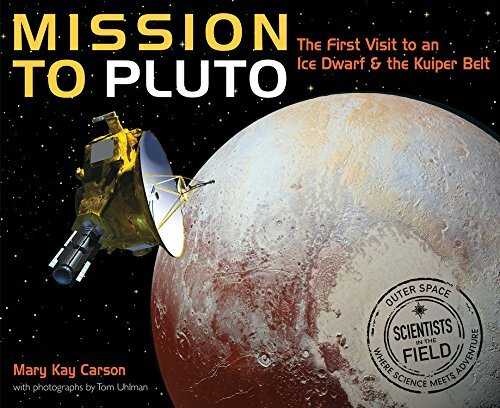 It takes a lot of work to get to Pluto: teams of scientists and engineers, mission control specialists who keep your vehicle on track, and time. Nearly ten years of time – even if your spacecraft is tiny. That’s why the folks at NASA had to build a craft that was durable and could take care of itself. 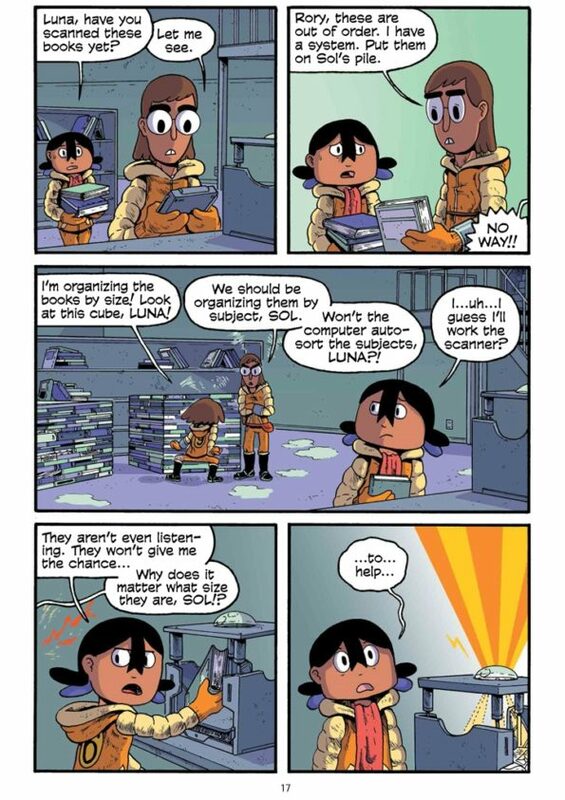 In 2005, when they were building the New Horizons spacecraft, engineers knew it would need a power source. Solar panels make electricity for most satellites and space probes, “but a sunny day on Pluto is about as bright as twilight on Earth,” writes Mary Kay Carson. So New Horizons carried its own power source: plutonium. More about the book, and mission-appropriate theme music over at Archimedes Notebook. 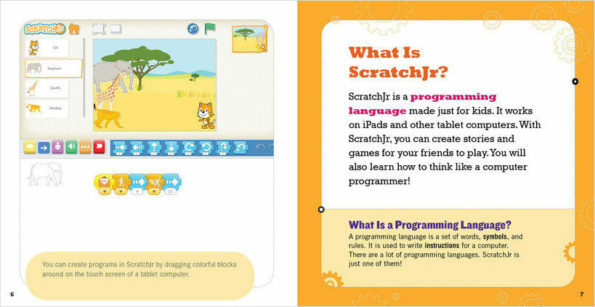 Booktalk: ScratchJr is a beginner’s programming language that is fun and easy to use. Through simple text written to foster creativity and problem solving, students will learn the art of innovation. Large, colorful images show students how to complete activities. Above earth is an atmosphere, and beyond that the space station and the moon, the sun, 8 planets, an asteroid belt, supernovas, more galaxies until you reach… the edge of the known universe. 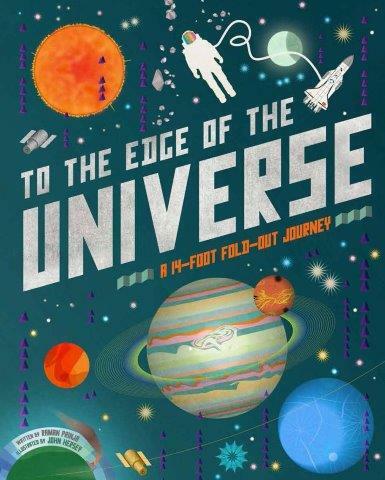 What I like about this book: The pages are connected in a long, long, long (14-foot long) mural that takes you from the earth’s surface to the edge of the universe. On the reverse side are facts, graphs, charts, constellations… answers to the questions you’ll be asking as you explore the universe. 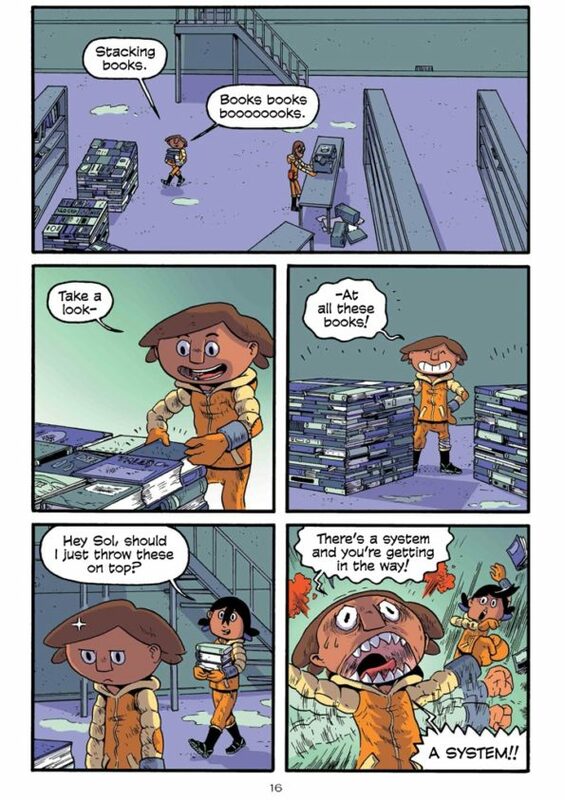 I also love the interaction requires for this book. You can unfold the entire mural – indeed, you could (if you want to) cut it off the cover and tape it to the wall. It’s just plain fun. 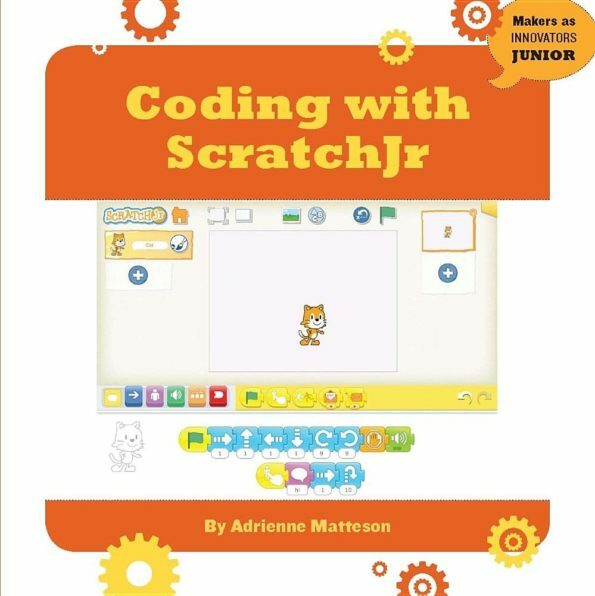 Head over to Archimedes Notebook for another space book and hands-on activities for budding space cadets. Booktalk: If you could hike to the moon, how long would it take? Just how many glasses of lemonade would you need to fill an Olympic-size swimming pool? If everyone on Earth owned exactly the same amount of land, how big would your yard be? And how much time would you spend mowing the lawn? Ms. Mary Math answers the questions . 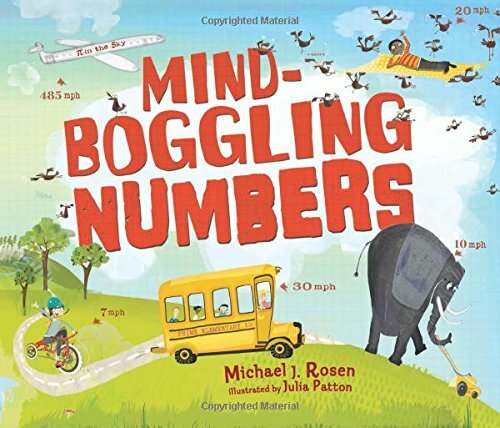 . .
Booktalk: Beginning readers learn how animal behavior changes during the winter season.